This week: new books from Don DeLillo, Louise Erdrich, and Sherman Alexie. 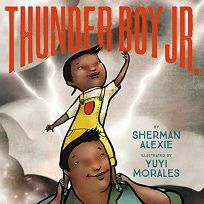 Echoes of Alexie’s The Absolutely True Diary of a Part-Time Indian resonate in this vibrant first-person tale, illustrated in a stormy palette by Morales (Niño Wrestles the World). “I am the only Thunder Boy who has ever lived,” says the young narrator. “Or so you would think. But I am named after my dad. He is Thunder Boy Smith Sr., and I am...” Here, his mother pops in from the right lower margin to complete the sentence: “Thunder Boy Smith Jr.” The boy confides that his father’s nickname, Big Thunder, sounds impressive, while his own nickname, Little Thunder, “makes me sound like a burp or a fart.” After confessing “I hate my name!” with a chorus of screaming snakes, wolves, and bears driving the point home, Thunder Boy proposes several profound or funny alternatives, including “Star Boy,” “Old Toys Are Awesome,” and “Drums, Drums, and More Drums” because he “love[s] powwow dancing.” Alexie’s first picture book showcases his ear for dialogue and sideways sense of humor, and Morales uses voice balloons and other comics elements to complement the characters’ dynamic poses. Thunder Boy’s energy is irresistible, as is this expansive portrait of a Native American family. 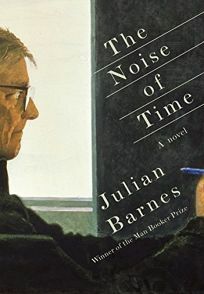 Dmitry Shostakovich, the renowned Russian composer and subject of Barnes’s magnificent biographical novel, is introduced in 1936, at the onset of Stalin’s Great Purge, as he stands by the hallway elevator each night, awaiting his imminent arrest. It’s an absurd, desperate attempt to protect to his family by surrendering himself before the security forces reach his apartment. His opera Lady Macbeth of Mtsensk recently received a sharp rebuke in Pravda titled “Muddle Instead of Music,” which may have been written by Stalin himself, because “there were enough grammatical errors to suggest the pen of one whose mistakes could never be corrected.” In Stalin’s Russia, where even the most abstract of the fine arts are potent political expressions, and where one’s worth is determined by one’s work, this sort of criticism can serve as a death sentence. Shostakovich barely avoids arrest, and we catch up with him every 11 or 12 years. In 1949, he returns from a disastrous trip to New York City as a Soviet delegate to the Cultural and Scientific Congress for World Peace. This is a novel of tremendous grace and power, giving voice to the complex and troubled man whose music outlasted the state that sought to silence him. In this exceptionally well-written memoir, Conley recounts his brief but harrowing time attending Love in Action, an ex-gay ministry. 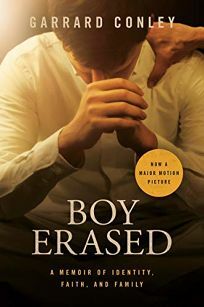 After the man who raped him in college outs him to his Missionary Baptist parents, Conley enters a tailspin that results in seeking conversion therapy to both placate his parents and find his own peace. He nicely weaves the account of his two weeks at Love in Action with stories from his earlier life to present a moving picture of the struggle to be gay—or stop being gay—in a conservative, southern Christian community. Particularly effective is the representation of his parents, who sincerely believe this is best for their son, and his recounting of this world slowly losing its grip on him. Other memoirs of ex-gay therapy survivors recount longer and more involved encounters with the process, but Conley offers enough for readers to understand the main concepts and methods of such groups. This timely addition to the debate on conversion therapy will build sympathy for both children and parents who avail themselves of it while still showing how damaging it can be. DeLillo's 17th novel features a man arriving at a strange, remote compound (we are told the nearest city is Bishkek)—a set-up similar to a few other DeLillo books, Mao II and Ratner's Star among them. This time, the protagonist is Jeffrey Lockhart, who is joining his billionaire father, Ross, to say good-bye to Ross's second wife (and Jeffrey's stepmother), Artis. The compound is the home of the Convergence, a scientific endeavor that preserves people indefinitely; in Artis's case, it's until there's a cure for her ailing health. But as with any novel by DeLillo, our preeminent brain-needler, the plot is window dressing for his preoccupations: obsessive sallies into death, information, and all kinds of other things. Longtime readers will not be surprised that there's a two-page rumination on mannequins. But a few components elevate Zero K, which is among DeLillo's finest work. For one, DeLillo has become better about picking his spots—the asides rarely, if ever, drag, and they are consistently surprising and funny. And his focus and curiosity have moved far into the future: much of this novel's (and Ross's) attention is paid to humankind's relationship and responsibility to what's to come. What's left behind and forgotten is the present, here represented by Jeffrey, the son whom Ross abandoned when he was 13. 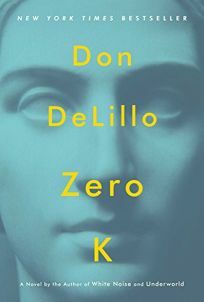 DeLillo sneaks a heartbreaking story of a son attempting to reconnect with his father into his thought-provoking novel. Erdrich spins a powerful, resonant story with masterly finesse. As in The Round House, she explores the quest for justice and the thirst for retribution. Again, the setting—a North Dakota Ojibwe reservation and a nearby town—adds complexity to the plot. Landreaux Iron, an Ojibwe man, accidentally shoots and kills the five-year-old son of his best friend, farmer Peter Ravich, who is not a member of the tribe. After a wrenching session with his Catholic priest, Father Travis, and a soul-searching prayer in a sweat lodge, Landreaux gives his own five-year-old son, LaRose, to grieving Peter and his wife, Nola, who is half-sister to Landreaux's own wife, Emmaline. 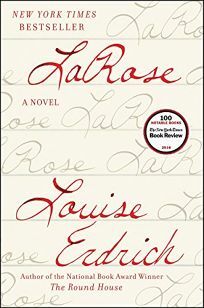 In the years that follow, LaRose becomes a bridge between his two families. He also accesses powers that have distinguished his namesakes in previous generations, when LaRose was "a name both innocent and powerful, and had belonged to the family's healers." Erdrich introduces this mystical element seamlessly, in the same way that LaRose and other Ojibwes recognize and communicate with "the active presence of the spirit world." In Hardinge’s (Cuckoo Song) superb tale of overarching ambition and crypto-botany, which recently won the Costa Book Award in the U.K., the Reverend Erasmus Sunderly, an eminent if unpleasant Victorian, has suddenly moved his family to a remote island, ostensibly to participate in a paleontological dig, but actually to escape scandal. 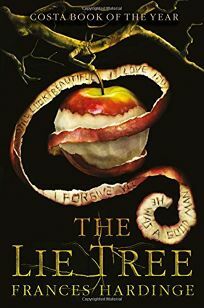 Noticing that he is acting strangely, his 14-year-old daughter, Faith, a budding scientist whose intellectual curiosities are dismissed and discouraged, offers her aid and soon finds herself party to a terrifying discovery, a mysterious tree that apparently feeds on lies, rewarding the liar with astonishing visions. This so-called “Mendacity Tree” gives the tale an oddly allegorical feel, like something out of Spenser’s The Faerie Queene. When Sunderly is found dead, an apparent suicide, it is up to Faith to clear his name, expose the murderer, and perhaps endanger her very soul. Hardinge’s characteristically rich writing is on full display—alternately excoriating, haunting, and darkly funny—and the novel also features complex, many-sided characters and a clear-eyed examination of the deep sexism of the period, which trapped even the most intelligent women in roles as restrictive as their corsets. A palpable pall of menace hangs over British author Hurley’s thrilling first novel, narrated by a London boy, “Tonto” Smith, whose affectionate nickname was bestowed by a parish priest who likened himself to the Lone Ranger. Tonto and his family undertake an Easter pilgrimage to the Moorings, a house overlooking a treacherous swath of tide-swept Cumbrian coast known as the Loney. Smith’s devoutly Catholic mother hopes that taking the waters at the nearby shrine will cure his older brother, Hanny, of his lifelong muteness. But the Cumbrian landscape seems anything but godly: nature frequently manifests in its harshest state and the secretive locals seem beholden to primitive rites and traditions that mock the religious piety of the visitors. 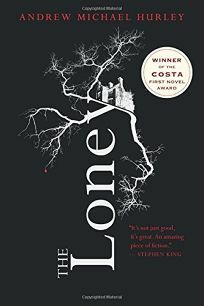 Adding to the mystery is Coldbarrow, a spit of land turned twice daily by the tides into an island, where a man, a woman, and a pregnant teenage girl have taken refuge in a gloomy house named Thessaly. 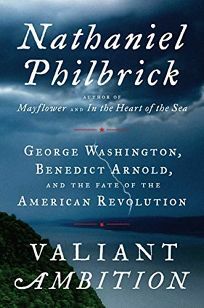 By recounting inconvenient truths, including “how patriotic zeal had lapsed into cynicism and self-interest,” Philbrick (Mayflower) once again casts new light on a period of American history with which many readers may assume familiarity. He relates the four years of the Revolutionary War (1776–1780) in a compulsively readable and fascinating narrative, prefacing his account with a provocative description of what really happened during the American Revolution, which was “so troubling and strange that once the struggle was over, a generation did its best to remove all traces of the truth.” Philbrick makes vivid and memorable the details of numerous military engagements and reliably punctures any preconceptions that the rebels’ victory was inevitable. Eye-openers abound, such as how British general John Burgoyne’s use of Native American warriors backfired, as “even more than their love of liberty, the New Englanders’ multigenerational fear of native peoples was what finally moved them to rise up and extirpate” the British. Philbrick’s deep scholarship, nuanced analysis, and novelistic storytelling add up to another triumph. Porto’s captivating, impeccably structured novel is a detective story wrapped around a deeper exploration of identity. Armando proclaims himself at the outset to be one of São Paulo’s best doctors, but the case of a 17-year-old named Sergio haunts him, due to Armando’s failure to diagnose a critical aspect of the unhappiness Sergio sought to eradicate through therapy: namely, Sergio’s wish to become a woman. Even though Sergio insists after discontinuing therapy that Armando helped him realize the course his life must take, Armando still considers the treatment a missed opportunity. Only after Sergio’s death does Armando learn about Sergio’s move to New York City and his path to becoming a woman named Sandra. 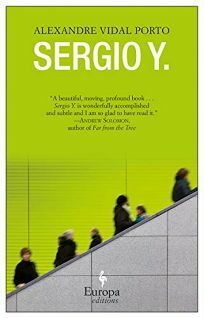 Plagued by self-doubt about whether he inadvertently led Sergio to his death, Armando begins an investigation into Sergio’s journey as well as his own role in moving Sergio toward his ultimate destiny. The result is a methodical and deeply layered narrative about the sacrifices we make in the search for happiness. Seay’s debut novel is a true delight, a big, beautiful cabinet of wonders that is by turns an ominous modern thriller, a supernatural mystery, and an enchanting historical adventure story. The first stop is present-day Las Vegas, where an ex-Marine turned manhunter named Curtis Stone descends into the Strip’s seedy underworld to track a famous gambler named Stanley Glass through the prefab canals of the Venetian-themed hotel and casino, but finds instead a mysterious book called The Mirror Thief. On that note, the narrative jumps back to 1958 in Venice Beach, at the dawn of the Beat poetry scene, where Stanley is a small-time con artist obsessed with the enigmatic Adrian Welles, author of The Mirror Thief. Finally, and most sensationally, readers are treated to the subject of Welles’s book himself, the man called Crivano, who in 1592 embarks on a dangerous mission in the Italian Venice, gorgeously rendered as a fantasia of conspirators, alchemists, and heretics caught between the dangers of plague and the Inquisition. 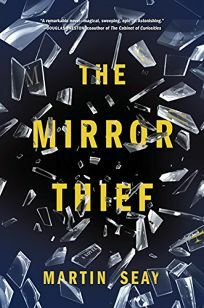 Without realizing it, Crivano, Stanley, and Curtis are searching for the same thing: the mystery hidden behind mirrors (both literal and figurative). This is a splendid masterpiece, to be loved like a long-lost friend, an epic with near-universal appeal. Solomon Reed, 16, suffers from acute anxiety and agoraphobia. He hasn’t left his house since a panic attack in seventh grade, during which he stripped to his underwear seeking calm in the waters of a fountain outside his school. Former classmate Lisa—an ambitious, straight-A type who “believed in herself maybe more than other people believed in God”—hasn’t forgotten him. 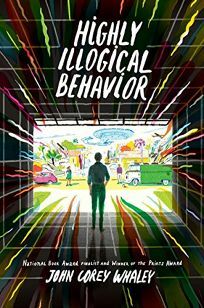 In need of a subject for a scholarship essay about mental illness, she thrusts herself into Solomon’s existence with a plan to “cure” him using some armchair cognitive behavior therapy. Solomon doesn’t think he needs saving (or know about the essay), but he lets Lisa in, followed by her handsome boyfriend, Clark, who shares his interest in comic books, Star Trek: The Next Generation, and card games. Heartbreak ensues when Solomon falls for Clark. Printz Award–winner Whaley (Where Things Come Back) again tackles heavy, heady topics with a light touch, populating his perceptive and quick-witted story with endearing, believably flawed teens. Solomon’s parents and grandmother are refreshingly supportive, letting Solomon take the lead as he tests the possibility of re-entry. Novelist Wyld (After the Fire) switches to the graphic novel format to explore the sadness of childhood in this brief, lovely memoir. 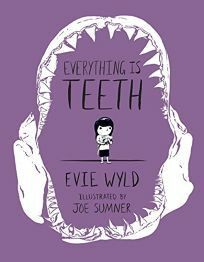 Having spent her summers in coastal Australia, Wyld’s infant imagination is consumed by what lurks beneath the waves. She researches shark attacks obsessively, imagines her loved ones falling prey to a Great White’s jaws, and relates tales of teeth and gore to her lonely older brother. Though the book is short, the brevity concentrates the emotion of every page and panel: a simple image of a shark following Wyld down a suburban street takes on grave significance. Artist Sumner’s use of photorealistic sharks in contrast with his simple line drawings is particularly powerful. This is a poignant, understated look into the anxiety of childhood, singular and memorable.